When we think of summer, a few different foods come to mind. There’s juicy watermelon, bright red strawberries and sugary popsicles. But of course, one of our all-time favorite summer foods is also one of the most versatile: delicious corn on the cob. You’ve probably tried it with butter and salt, but that can get a little boring. But thanks to this delicious recipe, you’ll never see this BBQ staple the same way again. 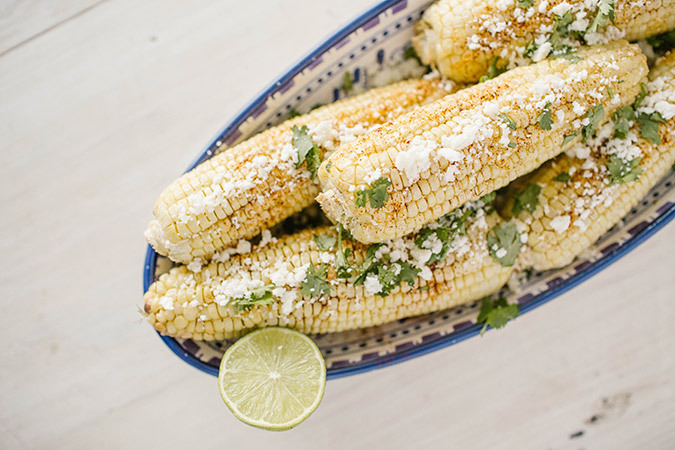 Not only can this Mexican corn on the cob be made either on the grill or in the stove (making it the perfect side dish, no matter the weather), but it’s super simple and simply delicious. Check out the recipe below, then try it for yourself! 1. Shuck your corn by removing the husks and the silk strands. 2. Make a mixture of ½ mayonnaise and ½ softened butter in a small mixing bowl. Once thoroughly mixed, use a basting brush to brush liberally over each ear of corn. 3. If barbecuing, place corn directly on a medium-hot grill and cook, rotating as dark spots appear. Cook until kernels have deepened in color and softened to the touch (about 10-12 minutes). Note: If you don’t have a barbecue, you can cook corn in the oven! Simply repeat steps 1 and 2, then preheat your oven to 450 degrees. Place buttered ears of corn directly on oven rack and bake for about 20 minutes, or until tender. 4. 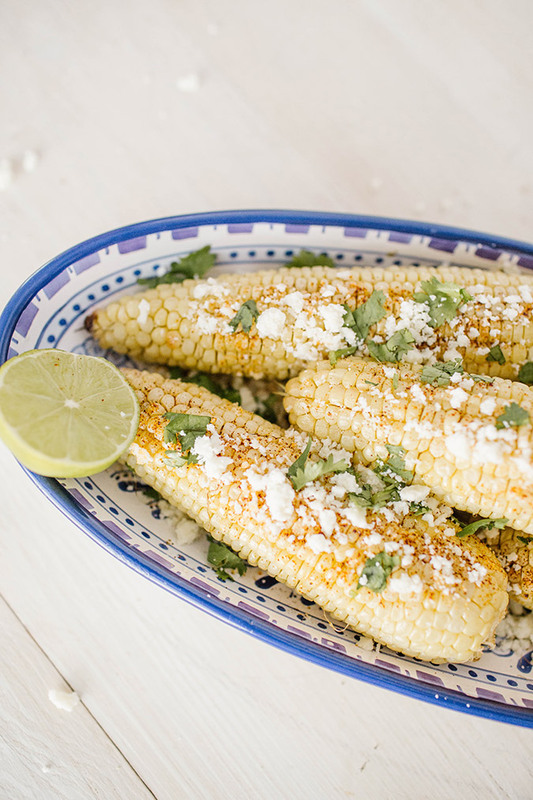 Once your corn is cooked, remove from heat and top with cotija cheese, chili powder, and chopped cilantro. Squeeze fresh lime juice on top for a zest of citrus, then enjoy! What are some of your favorite ways to enjoy corn on the cob? Once you make this delicious dish for yourself, let us know how you liked it in the comments!